AMD Link is a powerful mobile app built to complement AMD Radeon™ Software Adrenalin 2019 Edition. AMD Link brings Radeon™ Gaming to phones, tablets, and conveniently allows you to access gameplay performance metrics and PC system information. You can easily connect to your PC either by a QR code in Radeon Settings or manually entering the required info. 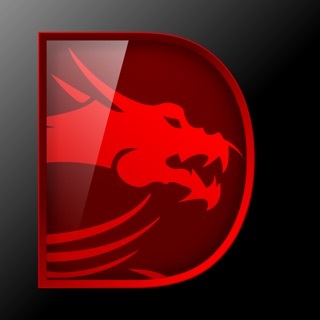 It is an extremely powerful tool designed with today’s socially-connected, mobile-first world in mind - and with the gamer at its center. •	Game Streaming: Launch your PC games and stream them to your mobile device, customize your controllers, or even use it as a Remote Desktop solution for your Windows desktop. •	PC Performance & Monitoring: Brings the power of Radeon™ WattMan to your mobile device and enables you to monitor and track gaming performance and system info of your PC through easy-to-understand bar graphs. •	Radeon™ ReLive: Allows one-touch capture, streaming, and instant replay of your gameplay to playback, save and share the gameplay moments saved on your PC. 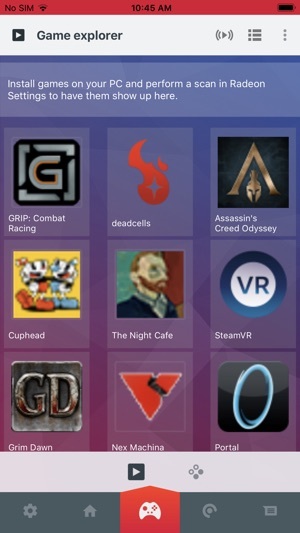 •Game Streaming: Launch your PC games and stream them to your mobile device, customize your controllers, or even use it as a Remote Desktop solution for your Windows desktop. Great app but needs some work. I like the idea of this app but it is quite clunky in its current state. I wish the icons on the bottom of the screen wouldn’t move around each time you select a different tab. I would like the ability to setup more advanced controller interfaces for streaming games. I played GTA V using streaming and could not find an onscreen controller layout that would work with driving cars or shooting. I feel this could be fixed by taking inspiration from the controls on PUBG mobile which allows you to shoot and move your character & camera at the same time. The idea is great and it works well until you close the app. Every time I open the app I need to add my PC all over again, pretty annoying but I’m sure it’s an easy fix. I would also like to see the interface be a bit more clean. The stats are kinda all over the place without much design direction. I would love if this app worked like my Elgato Stream Deck. 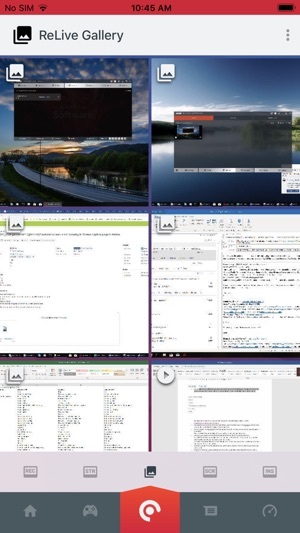 If I could open apps, changes scenes and just have control over my PC on a second screen. I would be over the moon! The ability to transfer photos and videos from my device to my PC using AMD Link. I also think a second screen ability with touch would be pretty impressive. 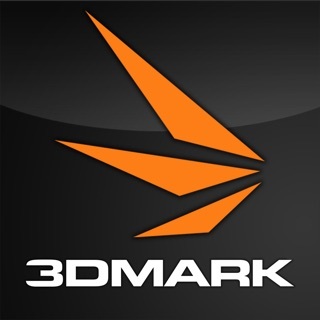 I really believe this app has a bright future and with added features would keep me on the AMD platform instead of jumping ship. This app has been awesome so far. It just needs a few little tweaks. 1.) While switching between tabs on the main menu I’ll get stuck loading the News Feed. It makes navigating choppy and somewhat aggravating. Just add a refresh feature instead of making me wait every time I swipe past. 2.) I love how I can record and take screen shots from my phone. But I hate how I can’t or at least don’t know how to access these photos and videos on my phone. It would be great if I had the option to save it to my camera roll. 3.) 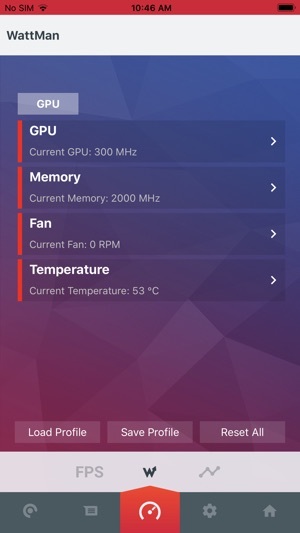 You also could add CPU and GPU temperatures in the stats page. Please take this into your consideration!